The Brindisi 23 robe for women is crafted from pure navy silk and features a light blue and white Indian themed repeat graphic which showcases elephants, tigers and horses hidden amongst the coconut trees. If you look carefully, you may even spot the family cat hiding amongst the flora and fauna of this print which is inspired by the Rose family's annual trips through South West India. Handmade in our workshop in Cheshire, England, this robe is produced in extremely limited quantities and is the result of hours of loving craftwork by our skilled pattern cutters and seamstresses. We cut the Brindisi 23 luxury robe by hand to ensure we uphold the supremely soft and smooth satin finish. 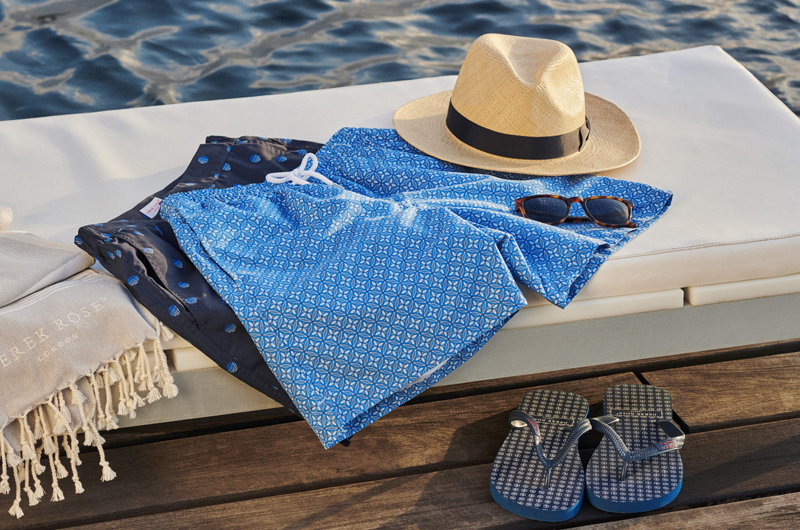 Designed for a relaxed but flattering and elegant shape, our women's robes will keep you looking great and feeling comfortable throughout the seasons. 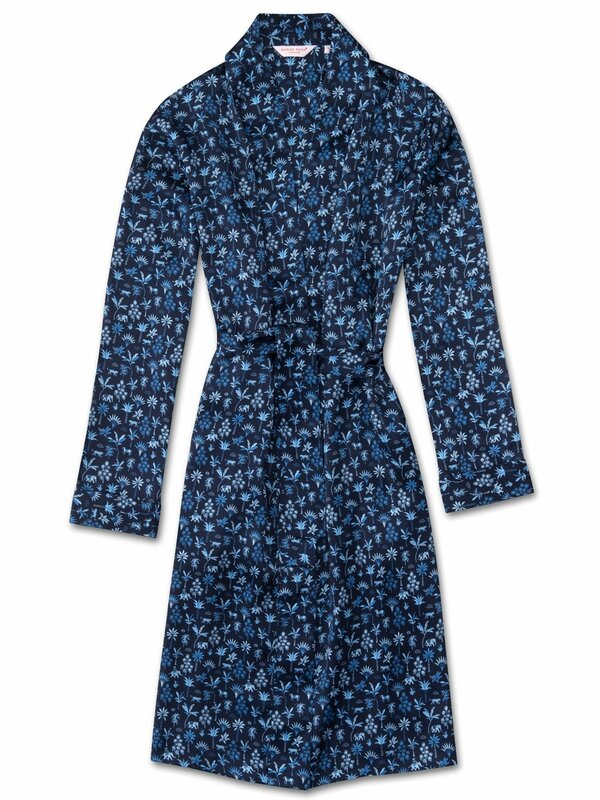 This knee-length version has two hidden side-seam pockets and a self-fabric kimono style collar, cuffs and waist-tie for an effortlessly stylish finish.